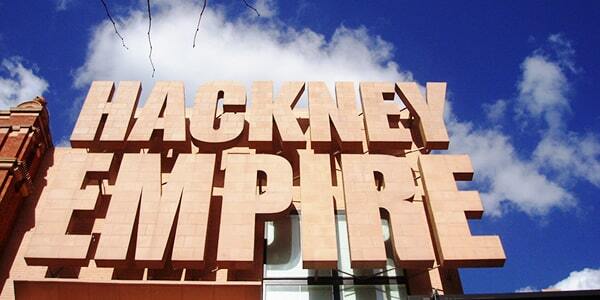 The Hackney Empire has a rich and diverse history. Built as a music hall in 1901, the Empire hosted performances from WC Fields, Laurel and Hardy, and Charlie Chaplin as well as a variety of performers from the British music hall circuit. The theatre was bought by ATV and used as a TV studio between 1956-1962 (featuring live broadcasts of Take Your Pick, Oh, Boy! and Opportunity Knocks), before being used by Mecca as a bingo hall between 1963-1984. Mecca offered the building to satirical theatre group C.A.S.T, who used it to host variety nights featuring alternative comedy acts such as French and Saunders, and Ben Elton. When the theatre was threatened with demolition in 1986, actor-manager Roland Muldoon launched a campaign to acquire the freehold. The campaign was successful and the theatre returned to theatre use in time for its 85th anniversary. Since 1988, it has hosted one of the most popular and successful pantomimes every year during the Christmas season. In 2001, the theatre closed for a £17 million refurbishment and reopened in 2004. The refurbishment included a studio space and undated the main 1,275-seat house with an orchestra pit, making it suitable for operatic performances. The theatre continues to host visiting productions and comedy performances.